Quinoa became a staple in our kitchen long before I knew exactly what quinoa was, or even how to pronounce it for that matter. I associated the texture and purpose similar to rice, yet the taste much more defiant. 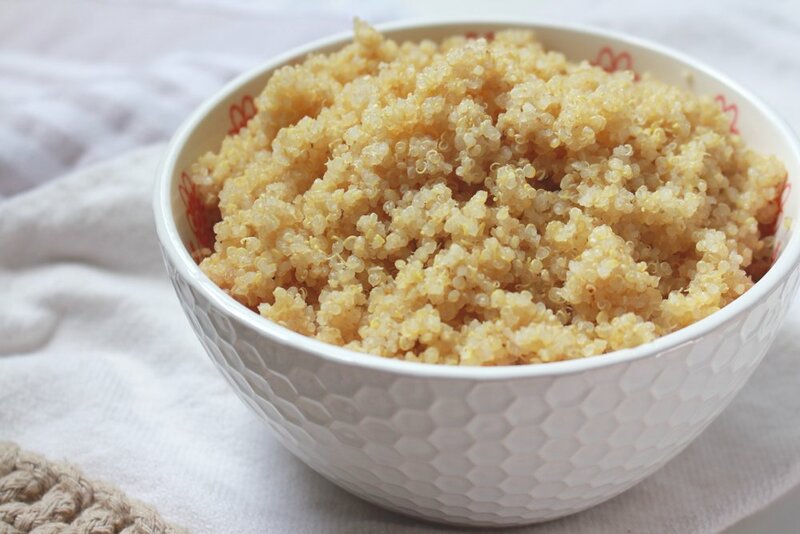 Quinoa has a nutty flavor and a subtle and sweet aroma that perfectly compliments just about any dish. Quinoa is pronounced "keen-wah," rather than the more common pronunciation we all know and love - "key-no-wah." Although grown as a grain crop, the part of quinoa that we eat, is actually considered a seed. If that isn't surprising enough, quinoa is actually related to both amaranth and spinach! This might explain the many health benefits that come along with quinoa. 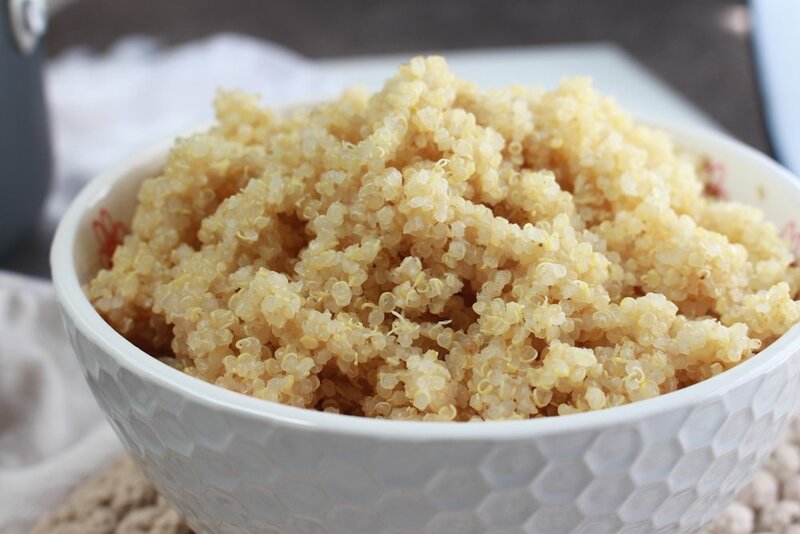 One cup of cooked quinoa can provide 8 grams of complete plant based protein, 5 grams of fiber (both soluble and insoluble), macrominerals and trace minerals, various B Vitamins, and a small amount of omega-3 fatty acids. Quinoa is amongst a short list of foods that contain all of these tremendously beneficial elements, as well as being accessible and affordable for most, which another reason I include quinoa in my week to week meal prep. 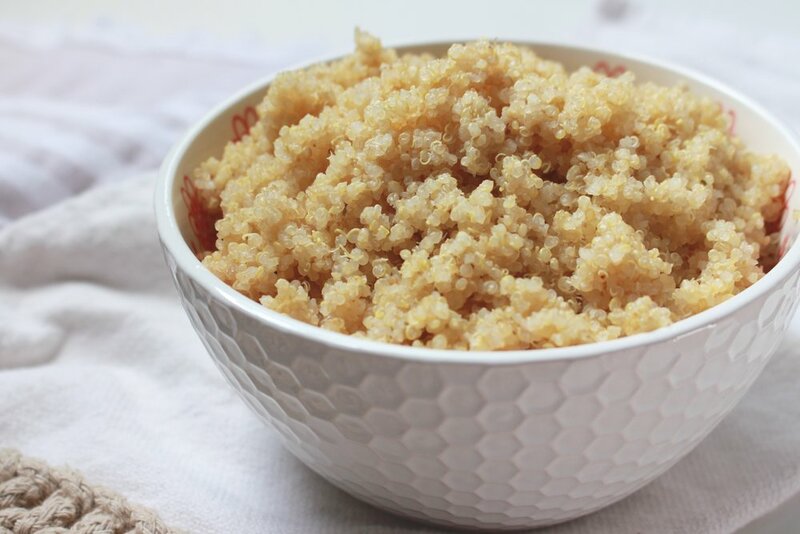 Despite being commonly known as an ancient super-grain, quinoa is an edible seed that can be cooked and consumed in a number of different ways. 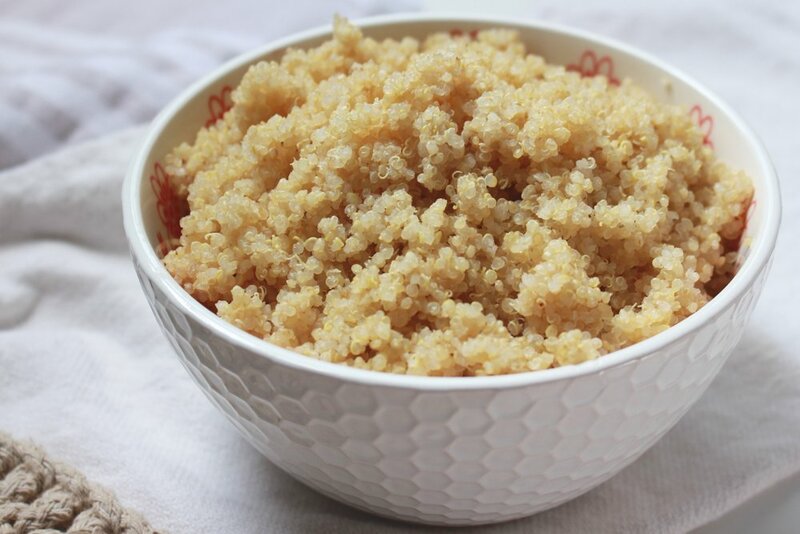 Toasting quinoa is a remedy that I use to bring out the nutty flavor of quinoa, before adding it into a recipe. Our toasted quinoa protein balls are one of my favorite ways to enjoy quinoa and tends to be a surprising favorite within the community. However, for the sake of a real deal meal, nothing quite compares to fluffy, soft, and perfectly cooked quinoa. Just as the pronunciation took time, as did perfecting my quinoa recipe. Poor Chad - when I first began cooking quinoa, rather than rice or pasta, I wasn't exactly sure how to do so. More often than not, our dinner was paired with a mushy, soupy mix that we thought quinoa was supposed to be. Knowing the nutritional value and kind of enjoying the soupy mix myself, I continued to make quinoa this way for a solid year. It wasn't until Chad hinted that he only liked quinoa sometimes, and might even prefer white rice (ouch), that I finally decided to figure out the best, fool proof way to cook quinoa. Measure out 1 cup of dried quinoa and set aside. You can rinse the quinoa before moving forward, but I typically do not. In a large pot, bring 2 cups of water and a dash of sea salt to a boil. Carefully add in quinoa and stir until the quinoa is evenly submerged in the boiling water. Continue to boil for 5-7 minutes, partially covered and stir occasionally. Once the quinoa has soaked up most of the boiling water (you will begin to see air-pockets within the layer of quinoa), turn the heat on low and cover completely. This allows the quinoa to slowly cook from the steam within the pot, making it very fluffy and soft. If there is little to no water left in the pot, turn the heat off completely and cover. Continue to fold and stir the quinoa as the last bit of water is soaked up by the quinoa. Once the quinoa is noticeably fluffy and almost doubled in size, remove from heat and let cool completely. Store in an air-tight container in the fridge for up to two weeks. Most package directions suggest adding 1 and 1/4 cup of water per 1 cup of quinoa. I have found that adding in the extra three-fourths cup of water makes a big difference for the texture and fluff-factor of quinoa. I used to add in the quinoa before my water came to a strong boil. By waiting for the water to boil before adding in the quinoa, it seems to keep the seed itself more compact and less "sticky." As noted in the directions, once the quinoa has soaked the majority of water and begins to form air pockets, turn the heat on very low or off completely. Cover with the lid and let the steam finish it off! Allowing the quinoa to slowly cook in the steam will help to retain moisture and furthermore increase the fluffiness of your cooked quinoa.